Friends and countrymen, today we will start a journey down the road of convalescent care in grid down and covert environs. The trip won’t be short, because there are many aspects to cover, and we will try to get in as much as we can without putting people to sleep. We anticipate that we may have some lively commentary where hopefully some folks who do some of this work can chime in and enlighten us. To be merciful to you, the readers, and ourselves, the guys who have to write this stuff, we will do this as a series of posts so that we can focus on certain areas and not write an entire textbook in one post. First, let’s define convalescent via Webster’s. Notice that there is an implied recovery of the patient’s health in the above definition. This is an important concept because there are two main types of convalescent patients in grid up care. 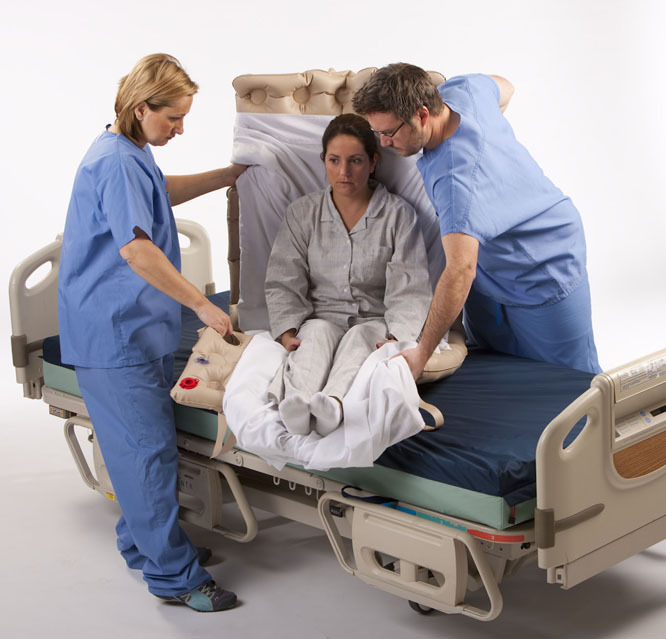 The transient convalescent may be the patient that had an appendectomy, broken leg, or other recent illness that puts him in the hospital or therapy for a while, but he is expected to recover and end up going home to a relatively normal life. The chronic convalescent can be thought of as the patient with debilitating diseases and conditions that he will suffer from for the rest of his life and will need constant care from a team of others for as long as he lives. In both cases, the range of care can be as basic as wellness checks, physical therapy, and meal service for a conscious, alert, and semi-mobile orthopedic patient, all the way to changing out diapers, catheters, medication administration, bathing, feeding, physical therapy, wound care, and other advanced procedures for a catatonic Alzheimer’s patient with type II diabetes. You’ve just splinted your buddy’s broken femur and decompressed his left chest after a fall while rock climbing. Transport him out ASAP and get him to surgery. OK, they have screws in his femur with a big old cast and his chest is all sewn up. He’s got to heal. And he’s going to need a clean room, a bed, sheets, bandages, pain medication, antibiotics, food, bathroom help, baths, and routine checkups from the doc and nurses to assess his progress. We absolutely love the advancements in field care like Tactical Combat Casualty Care (TCCC) and Tactical Emergency Casualty Care (TECC, TCCC’s civilian cousin), but once your buddy is all patched up in the field, he’s not going to like dying while everyone else is standing around, high-fiving, and enjoying Miller time. He needs that ride on a helicopter or in a fancy truck to a place that is going to get him fixed and bring him back to full-speed. It requires lots of people with lots of knowledge and skills, and a robust supply chain of everything from household cleaning products to immunotherapy drugs. When the grid is down or you are in austere conditions, morbidity – which is the level disease, and mortality – which is the death rate, are both going to go up. Substantially. The same, just-in-time, hyper-efficient, fragile, and prone-to-Black-Swans supply chain that keeps Wal-Mart full of Chicom plastic goodness and McDonald’s full of burgers, fries, and coffee is the same one that keeps your local hospitals and nursing homes full of sheets, food, diapers, medicines, and cleaning supplies. Most of the folks that talk about recuperation do so from the so-called biopsychosocial model. Despite my aversion to touchy-feely claptrap, it does end up being a useful means of approaching all the problems involved in convalescent care. It means that you can’t just heal the wound but forget about the associated psychological issues and leaving your buddy with nasty case of depression or PTSD. A gut-check with Maslow’s Hierarchy of Needs is going to be required for convalescent care. Physiological needs are the physical requirements for human survival. Physiological needs are thought to be the most important; they should be met first. Air, water, and food are metabolic requirements for survival in all animals, including humans. Clothing and shelter provide necessary protection from the elements. In a medical context, this may include the needed medications and treatment to keep your buddy alive, such as insulin for a diabetic, etc. With their physical needs relatively satisfied, the individual’s safety needs take precedence and dominate behavior. Financial security–who will take care of your buddy’s wife & kids while he is out of commission? Health–applies medically in terms of clean or sterile materials, protection from infection, getting the right treatment to the right patient, & etc. Where we may quibble with Maslow’s Hierarchy for grid down convalescent care is to swap the two bottom needs so that Safety is the base and Physiological is one step above, or they are blended together as one. Important stuff, here. We’ve seen this ball dropped too many times to ignore its impact on how well your buddy is going to do after he is injured. I would also add that one of the key elements to prevent is simple boredom. Shut up in a hospital room for 6-8 weeks, unable to move beyond your room, is a recipe for insanity. All humans have a need to feel respected; this includes the need to have self-esteem and self-respect. Esteem presents the typical human desire to be accepted and valued by others. 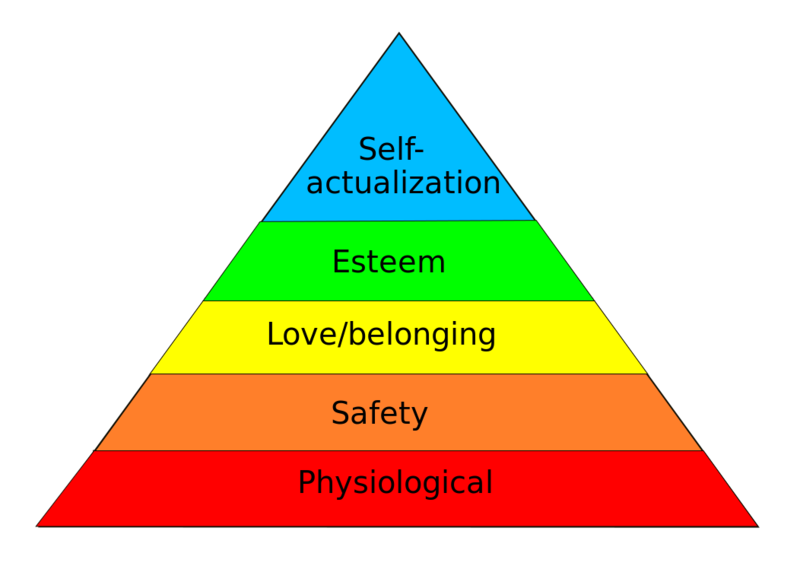 Maslow noted two versions of esteem needs: a “lower” version and a “higher” version. The “lower” version of esteem is the need for respect from others. This may include a need for status, recognition, fame, prestige, and attention. The “higher” version manifests itself as the need for self-respect. For example, the person may have a need for strength, competence, mastery, self-confidence, independence, and freedom. This “higher” version takes precedence over the “lower” version because it relies on an inner competence established through experience. Deprivation of these needs may lead to an inferiority complex, weakness, and helplessness. With Maslow’s hierarchy as a guide, to best treat convalescents, you are going to need a safe, stable, clean place to take care of people. You’re going to need to know how to create sterile environs so that you have sterile tools, towels, and bandages. You’re going to need to know how to run basic sanitation and dispose of biomedical waste. You’re going to need food and water. You’re going to need people with incredible personalities that can help wounded and broken people recover and become whatever they can after they leave your care. The abilities to beg, borrow, barter, build, and (hopefully only rarely) steal are going to be critical when there is no working supply chain anymore. The ability to get to know people who know how to treat convalescent patients now is a smart thing for many reasons. I am sure many in that profession share similar concerns as do the readers of Hogwarts. Below is a list that includes, but is not limited to, what we hope to cover. There is no order other than what we can knock out the fastest with the best information, so stay tuned. Wound care: types of wounds, primary vs secondary intention, types of dressings vs types of wounds, how to make Dakins solution, improvising bandages, overall cleanliness, how to deal with infections, etc. Physical therapy (PT): generally considered to be gross motor tasks, such as how to walk again. Ortho issues: how often to change a cast, how long should it stay on, when do you start moving it again, etc. General nursing issues: everything not listed above, such as bathroom issues, bathing, medications, emotional support, etc. Lots of stuff here. Training issues: teach your replacement, teach your covert nurses, etc. Medical texts to have available. A few years ago when I was recovering from lung surgery,due to pneumonia that turned into a bad lung infection-the day I got out of ICU-the doc told me to get my family and friends to bring me “real food” from home as I was more likely to eat it,and eat more of it than the hospital garbage,and that eating good food,getting enough rest,and getting up and moving were the things that would allow me to recover sooner. I had lost a lot of weight-between 30-40#. I got out of hospital in 3 weeks,with chest tubes and IV antibiotics,but still in half the time I was told it would take. The docs said it was due to the “real food”,and me doing all the PT I was told to do. Sounds like you are pretty hard to kill Larry. Great story. As an experienced Internal Medicine physician and a few years as a Flight Surgeon w the USAF (CASF, C4), the thought of grid down medicine terrifies me. First, anyone’s ability to practice medicine will be markedly diminished without supplies (medications, sterile anything) that now magically appear, without XRay/CT/MR/US to ply my trade. I think the state of medicine will be reduced to that of the Civil War except with the understanding that bacteria are causing infections but without the ability to treat. Amputations will done as quickly as possible (no anesthetics) rather than painstaking internal or external fixation. “We’ll see if he makes it through the night” rather than transferring to an ICU setting. For those that survive the golden hour will then face the “silver week” to see who dodges fatal infections and organ failure pretty much on their own without ventilators, IV anything, sterile anything. 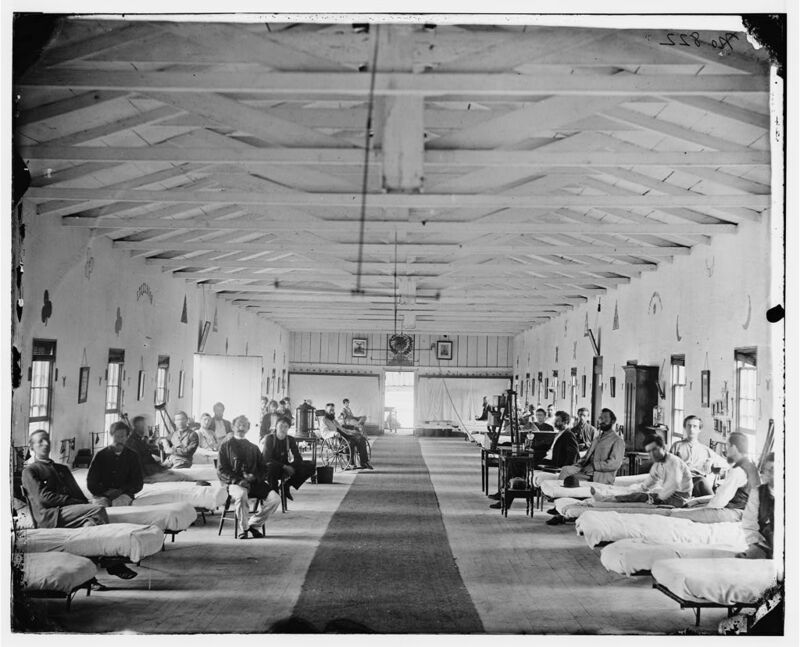 Then the “brass” month(s) for the survivors – their convalescent care. This is where I think ‘something’ can be done, though difficult and time consuming, about as well as today. The same can be achieved in a grid down environment given enough resources – think of the volume of firewood needed just to heat enough water to wash sheets contaminated w stool or puss achieve semi-sterilty. You will need tribe. We may soon return to an age where a simple splinter can cascade into death. Yes, there are ‘natural’ antibiotics for superficially infected wounds like garlic, sugar and honey. But there’s a reason why those little tubes of goop (neosporin and etc) relegated garlic, sugar and honey back to the kitchen. There’s a reason why the tombstones of graveyards pre-dating the antibiotic/modern medicine era are full children. And yet prep I do. I really need to find some good quality hand saws and perhaps a drill. Your fears are shared deeply. Watching the focused attacks on the pharmacies during the Baltimore riots really drove home how ugly things could get. Its bad enough not to have electricity. Adding to the mix roving packs of brigands that would happily destroy a field hospital and its patients to satiate their desires to get high makes for a very bad day. Hope to see you on the sequential posts on this. We love hearing from other clinicians with their ideas and experiences with this stuff. I completely left out security concerns – no matter who rolls you up and asks ‘whats in that bag’ – whether its a looter or a badge, you lose. Tunnel vision is dangerous. In med school, we would ridicule previous generations of physicians who busily categorized symptom complexes into diagnosis (ie a named disease) but were powerless to treat them. A very snarky ‘wow, Dr. X, you got a disease named after you but couldn’t treat it worth a damn (not like us who can treat it)’. Arrogance! Living in a state w legalized medical cannabis, I got over my stigma and began to look into the research and remain amazed. Enter ‘medical cannabis’ in the internal search engine of sciencedaily.com for a sampling. For those that can do so legally, having a cache of various strains will save lives. How else to treat seizures after big pharma collapses? Can’t get that knee replaced – a high CBD topical applied a few times a day may keep you walking once you go through your opiate Rx…. In austere 3rd world medicine every attempt is sometimes made to salvage a limb even in the face of impending sepsis when the odds of survival as a amputee are low. After you recover him he may have to be able to still work for food every day. Limbless it may all be for naught. looking forward to this series. It would seem that out of necessity it would be prudent to look into alternative ways to prevent infection and deal with some of the other issues – herbalism seems to fit the bill for a small chunk of these issues. Perhaps get in contact with Sam Coffman from the Human Path for a follow on series for herbal long term care and infection prevention. I sure am glad for ERs and modern medicine, but knowing other options makes a lot of sense. And surgery was done for a hundred years with such basic aids. No, it won’t be the same as today, but it will be possible to do good medicine. Likewise, products can be sterilized using a pressure cooker as an autoclave, and if we can’t save everyone, we can at least save some or most. For pharmaceuticals, especially antibiotics, chloramphenicol can also be made at home – not the best choice for most infections, but….something. If there is something you really, really need it is best to either stock a lot of it now so that it will last, or figure out a way to make it or do without. Failure (defined as not attempting to save lives) is not an option for me. “chloramphenicol can also be made at home” can you expound on this? We did it in Ochem lab in college…. You guys OK? Part II? So its been over a year since the last post and i still check back to see whats happening. Any chance you will be restarting the site?